Day 38 of 365, a photo by Gordon McKinlay on Flickr. The outlook from my office is a strange mix of ancient and modern. 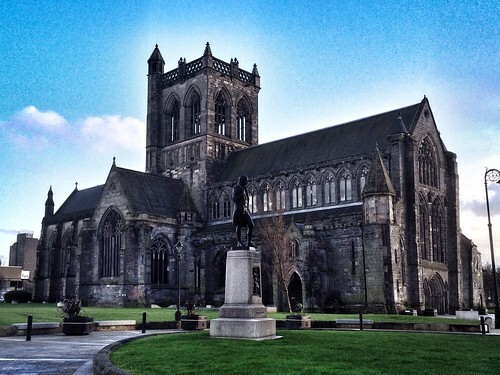 It us far too easy to walk past Paisley Abbey without noticing it. The building us beautiful both inside and out. The urge to be creative in all sorts of circumstances us something that is very human. We love to design and create things that are nit just utilitarian in nature. Our systems,I regains at ions and structures need to go beyond the brief to the best and mist beautiful. This entry was posted in Professional on 10 February, 2014 by Gordon McKinlay.